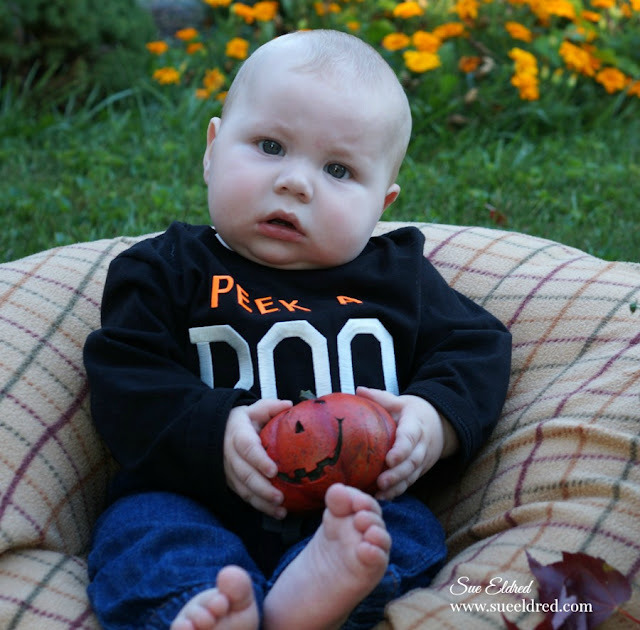 Fall leaves, pumpkins, cooler weather and the joy of Thanksgiving. 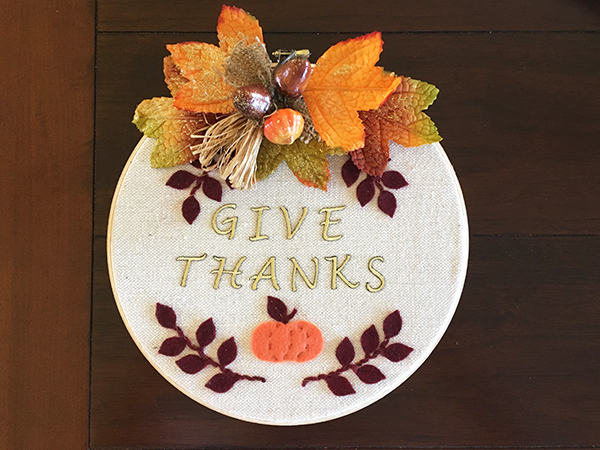 A wonderfully colorful season to decorate with Joy® iron-on embroidered letters and fill your home with joyful sayings! 1. 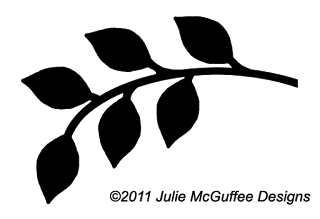 Cut 4 branches of leaves from the dark brown felt using the png file below and the Cricut® Maker® electronic shape cutting machine, or simply drag the pattern onto your computer desktop then print and trace onto felt. 2. Place the embroidery hoop on the canvas cloth. 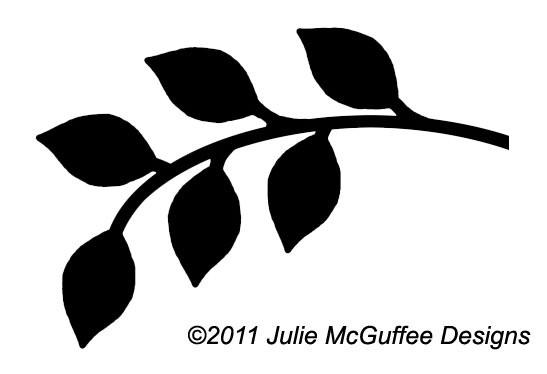 Arrange the letters and the leaves at the center. 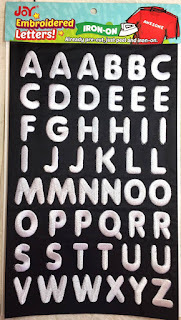 Remove the hoop and leaves then, following directions on the letter sheet package, iron the letters in place. 3. 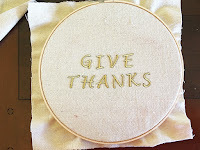 Separate the embroidery hoop rings, then place the cloth over the center of the inner ring of the embroidery hoop. Press the outer ring over the top then tighten. Pull the edges of the cloth until it is tight and the words are at the center. 4. 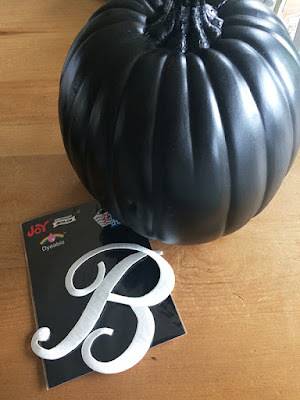 Cut the approximate shape of a pumpkin from orange felt then glue at the center, beneath the words. 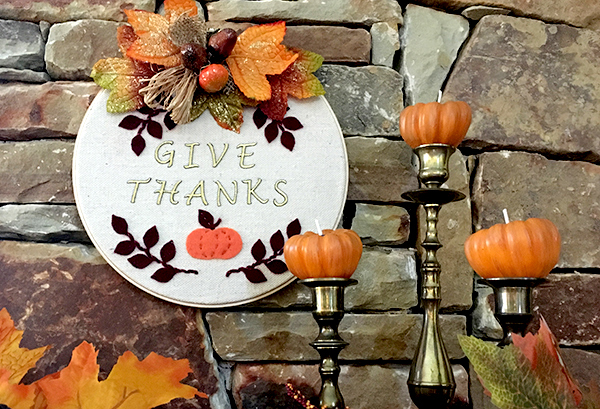 Glue an extra leaf and stem at the top of the pumpkin and the branches around the words. 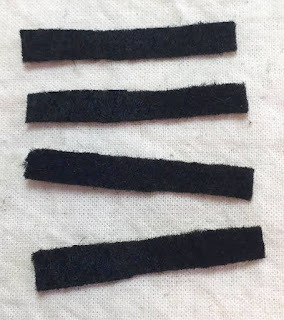 Trim the excess cloth away from the edge of the hoop. 5. Optional. 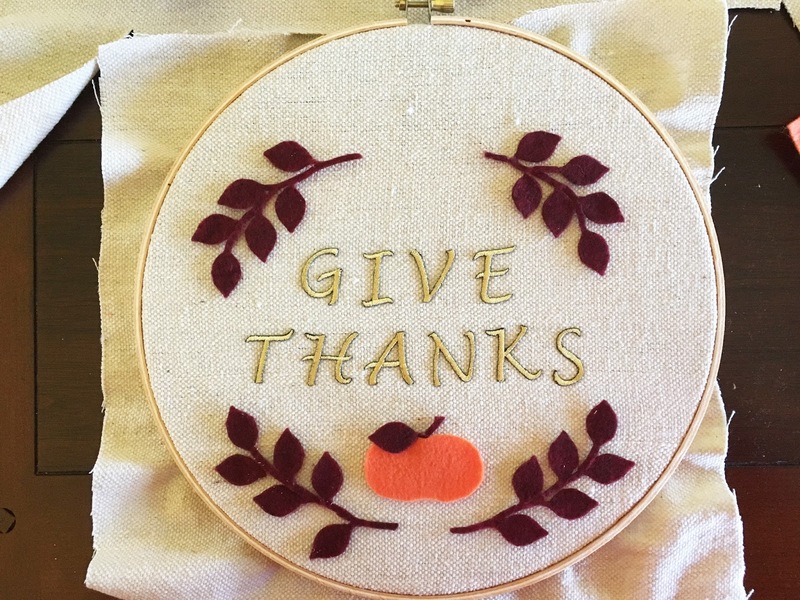 Oversew the stems of each branch with embroidery floss for added dimension, then add small running stitches on the pumpkin and down the center of the single leaf. 6. 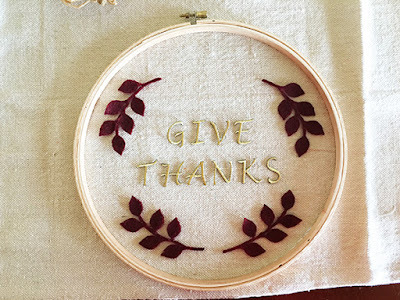 Add a floral pik to the top of the embroidery hoop wreath to finish. Joy iron-on, embroidered letters and numbers are available in a variety of sizes, colors and fonts at your local craft stores. 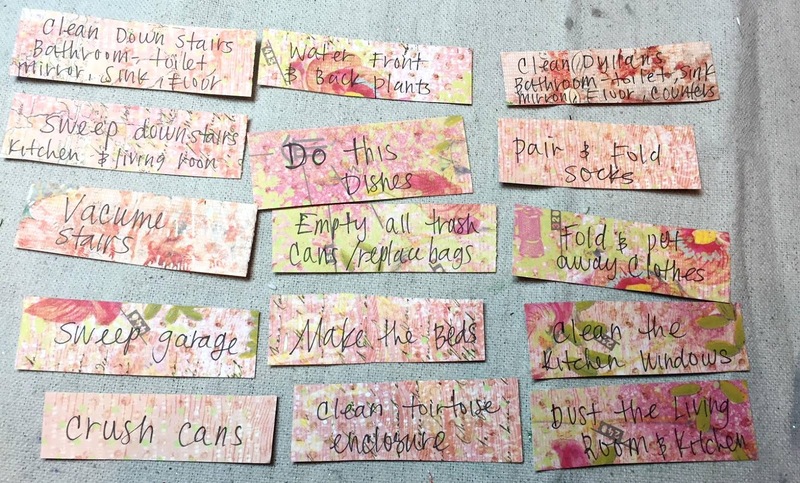 Now that our son is older...13 and in middle school, its hard to find a balance for chores and his endless homework. 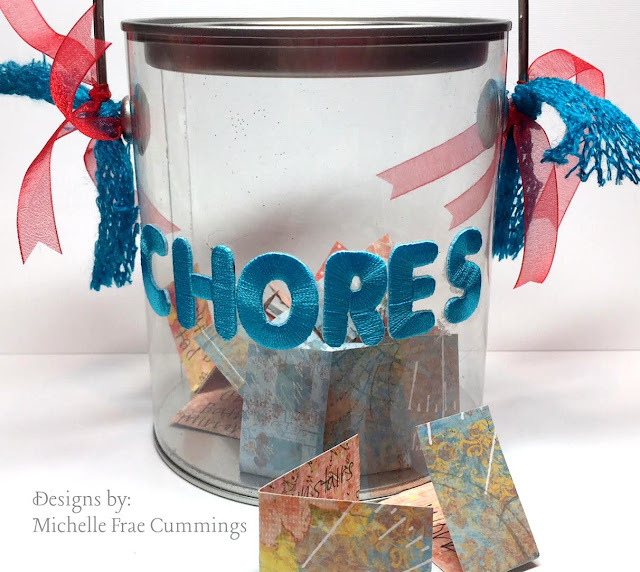 With this chore bucket, I can avoid having to nag him constantly. In return for his 'chores', he can earn extra free time and I have one less thing to stress about! Because the bucket was curved, I wanted to make sure the letters would stick. 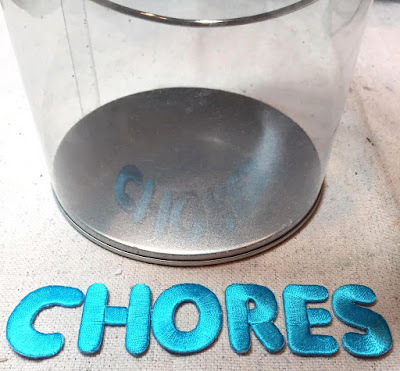 So I applied the adhesive to the back of the letters, waited a few minutes until the glue was tacky then adhered them to the bucket and added some trim to the handles to finish. 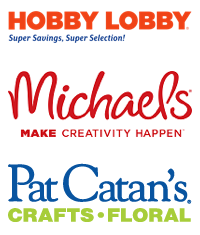 variety of fonts, colors and sizes at your local craft store. Monogrammed burlap napkin rings are easy handmade functional décor items for your Thanksgiving place setting. 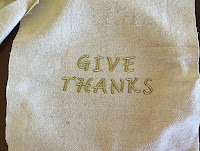 I love the look of burlap for Thanksgiving and autumn, and it really pops with the JOY® embroidered letters in gold. 2. Glue the burlap circle on top. 3. 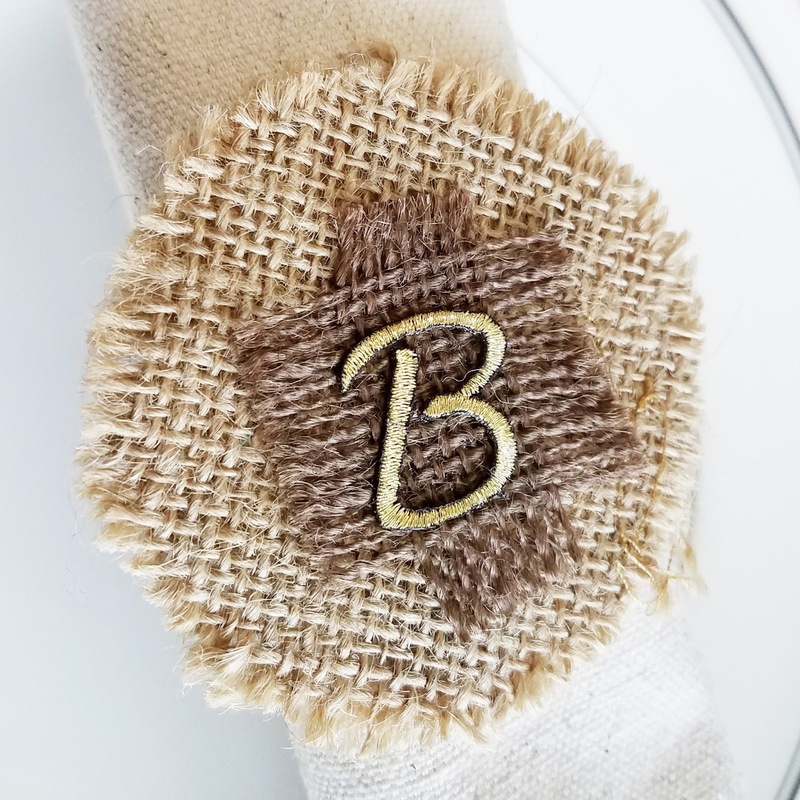 Iron on the letter of choice to a small section of the burlap fringe, then glue to the round burlap shape. 4. Insert napkin into the ring. 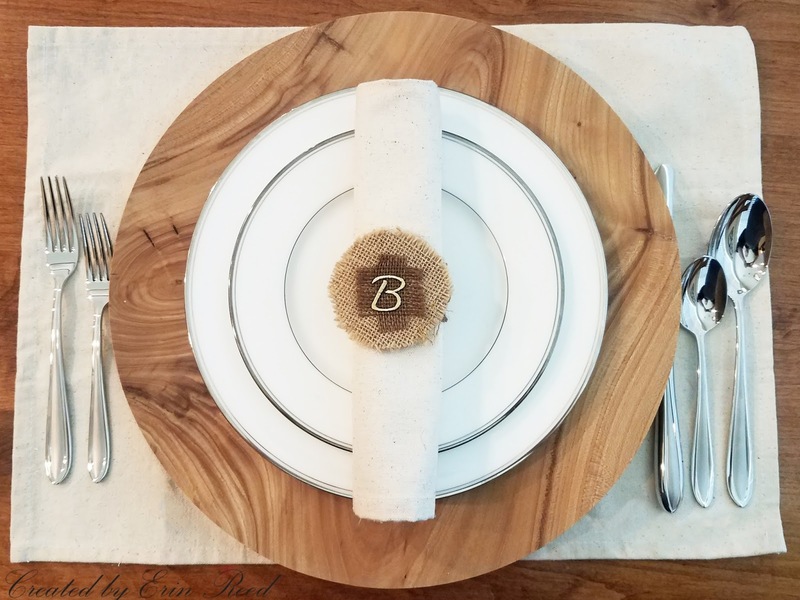 This quick and easy craft that not only gives you a personalized place setting for each guest, it also functions as a napkin ring! Here is a video on how to make these napkin rings. 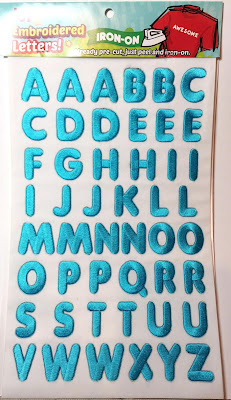 Look for Joy iron-on embroidered letters and numbers at your favorite craft store. They're available in different sizes, colors and fonts, suitable for every occasion. 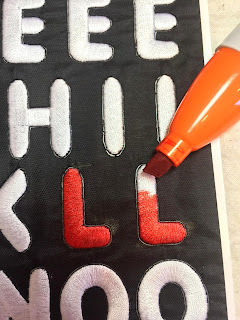 This monogrammed scarf slide is a great gift for a birthday or the upcoming holiday season, and it's so easy to make. Gold pearl resin powder turns a white letter into an elegant accessory. 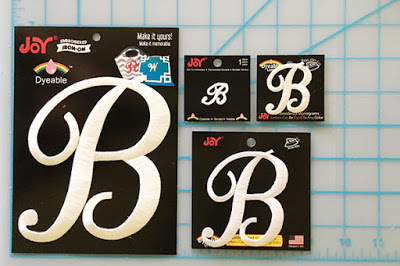 * White script letters are available in different sizes and can easily be colored with markers, paint, dye and more! 1. 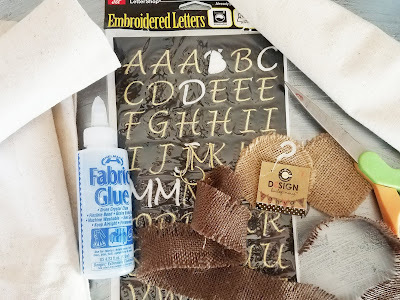 Paint the letter with gold resin powder. Paint a few highlights on the medium filigree. 2. Trace around the large filigree on the back of the leather scrap and cut outside the tracing line. 3. Layer the leather, large filigree and medium filigree and glue together. Iron the letter to the filigree with a craft iron. Use the wand to adhere hot-fix jewels to the letter. 4. Glue the ring band to the back of the leather. Slide onto scarf ends to wear. Or, wear it as a pin by adding a pin back. Look for Joy iron-on letters at your local craft store. Fall doesn't just mean leaves and pumpkins -- for sports fans, fall means football season! 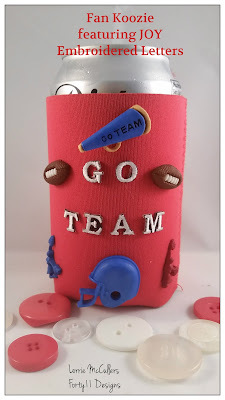 Cheer on your favorite team and enjoy your favorite cold beverage with this cool koozie embellished with Joy embroidered letters! Make several of these fun drink holders to pass out at your next tailgate party! 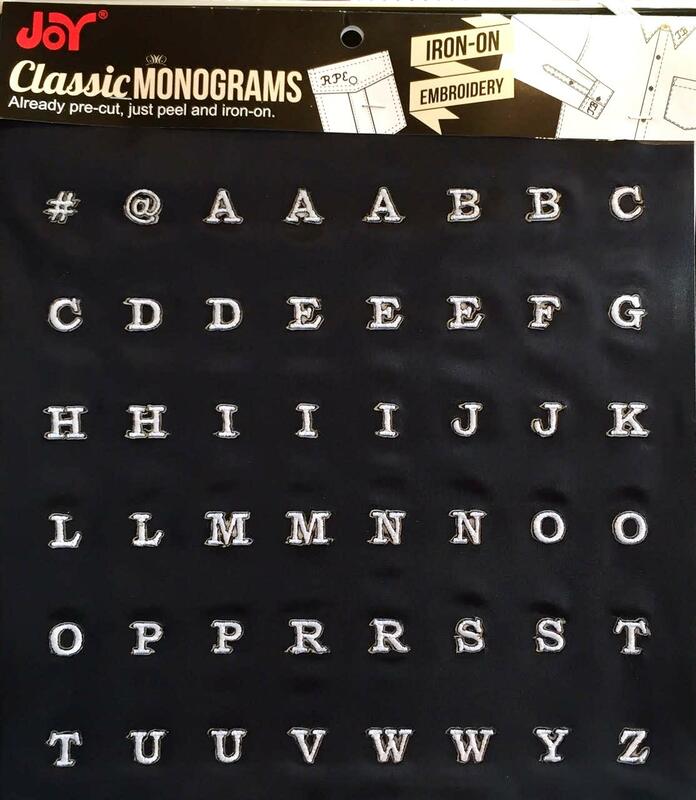 Iron on Joy Classic Monograms, spelling out your favorite team's name or other saying. Remove shanks from backs of themed buttons. 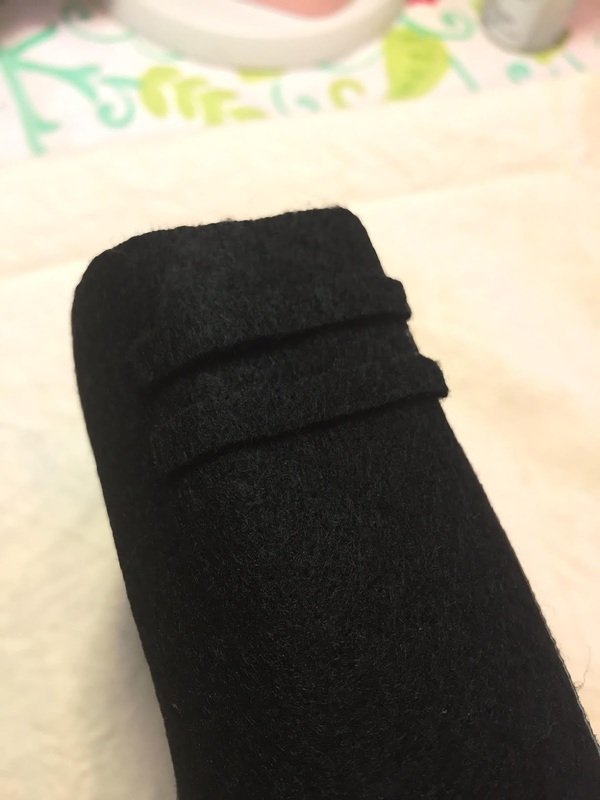 Using a hot glue gun, attach buttons to koozie. 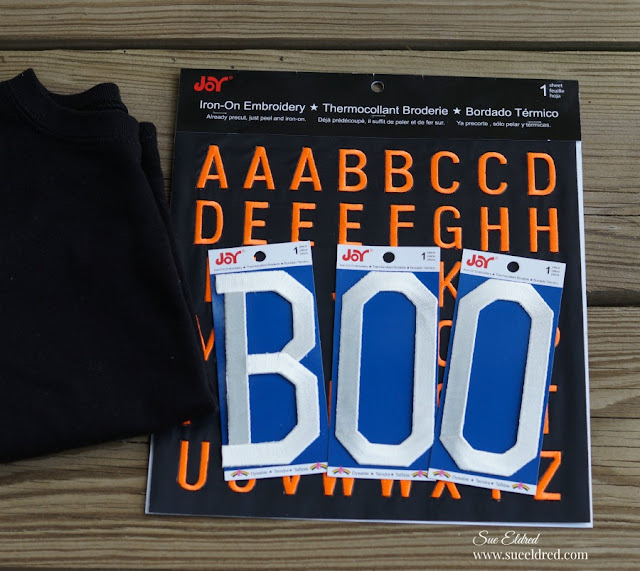 Look for Joy® iron-on embroidered letters and numbers in a variety of fonts, sizes and colors at your local craft stores. 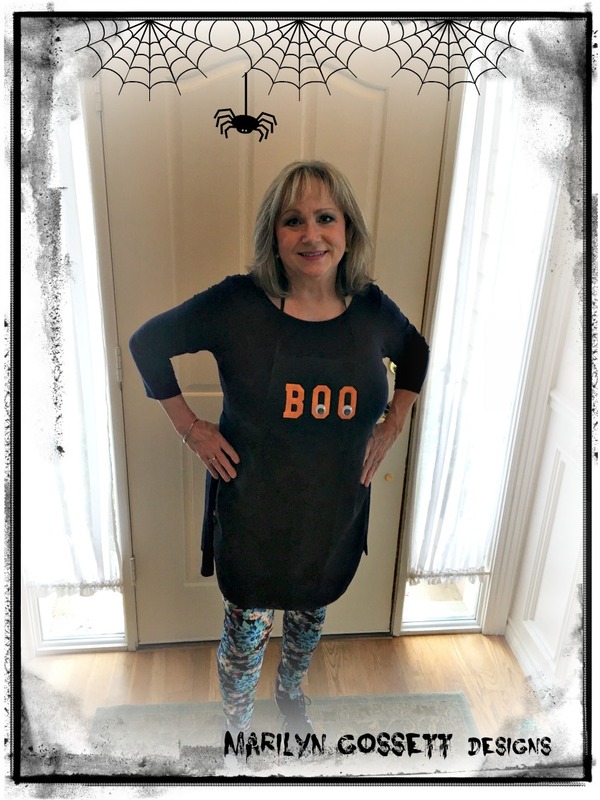 Halloween is my favorite time of year! I love to decorate and I love to make new decorations every year. 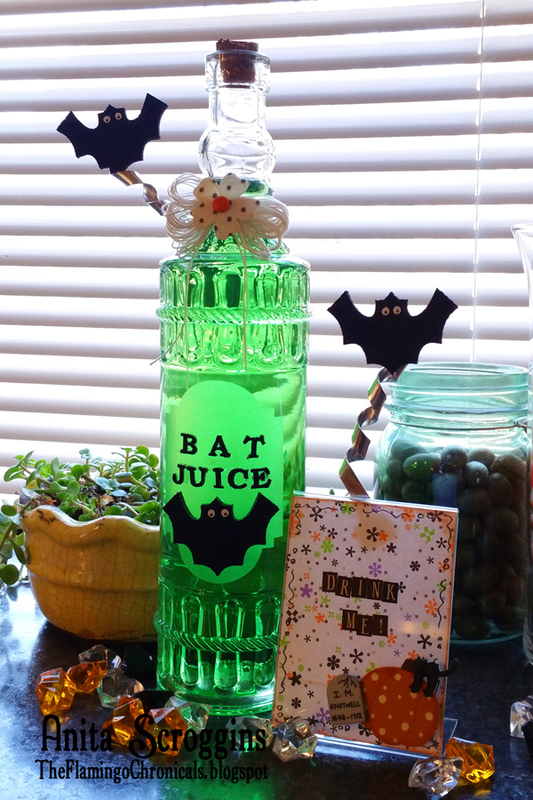 This year one of my additions is this fun Bat Juice Jar. It looks fabulous on my window sill in the kitchen. The light coming through behind it adds just the right touch! 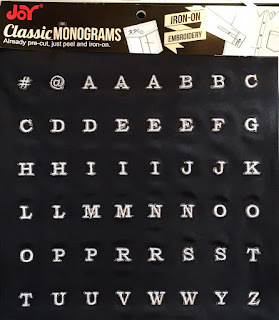 For this project I used the Classic Monograms - they are the perfect size for adding to projects like this. 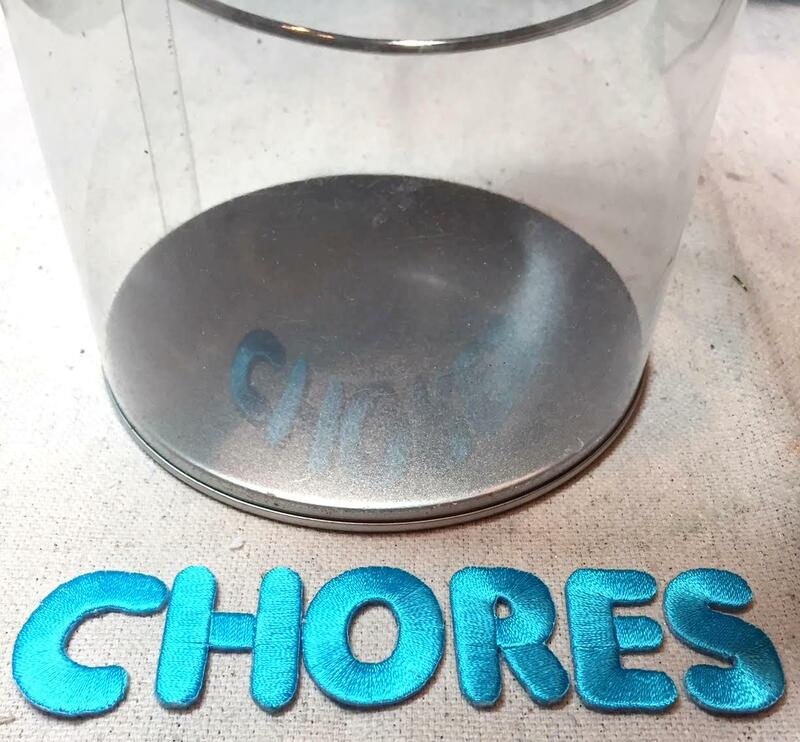 When using on fabric these simply iron on, However for this project I ran these through my mini Xyron® machine and that worked perfectly to adhere them to the glass. 1. Mix a little food color with water to fill the jar. I tried a couple of different colors and the light green was my favorite! 2. Wrap twine around the neck of the bottle. Tie a bow with many layers of twine and attach to the neck. Adhere paper flower with brad in center to bow. 4. 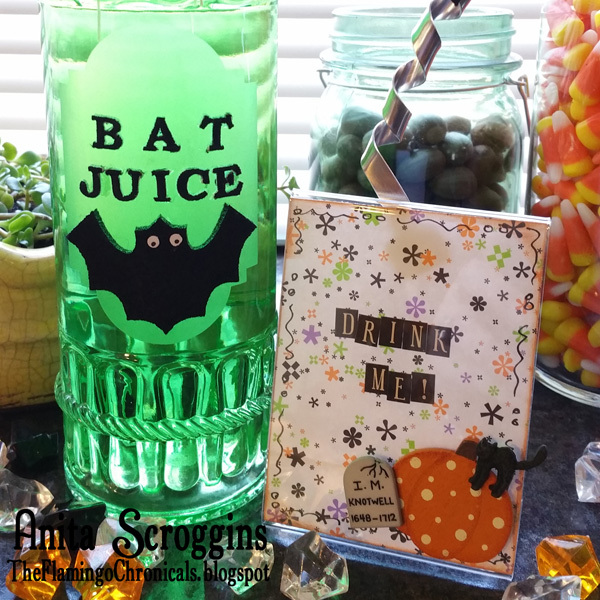 Adhere letters and bat to front of bottle. 5. Twist flexible sign holder and adhere to back of bottle. Attach bat to the other end of sign holder. 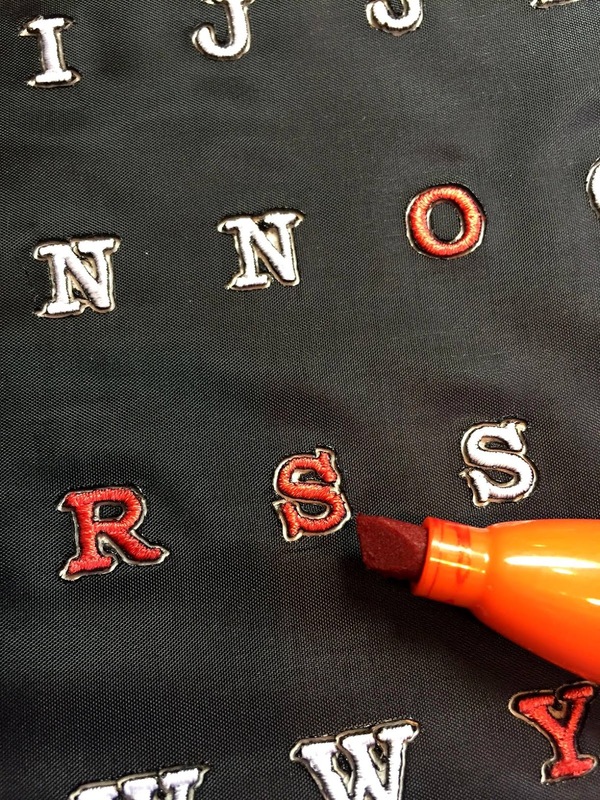 To see more amazing projects using Joy Iron-on Embroidered Letters check our Pinterest board. 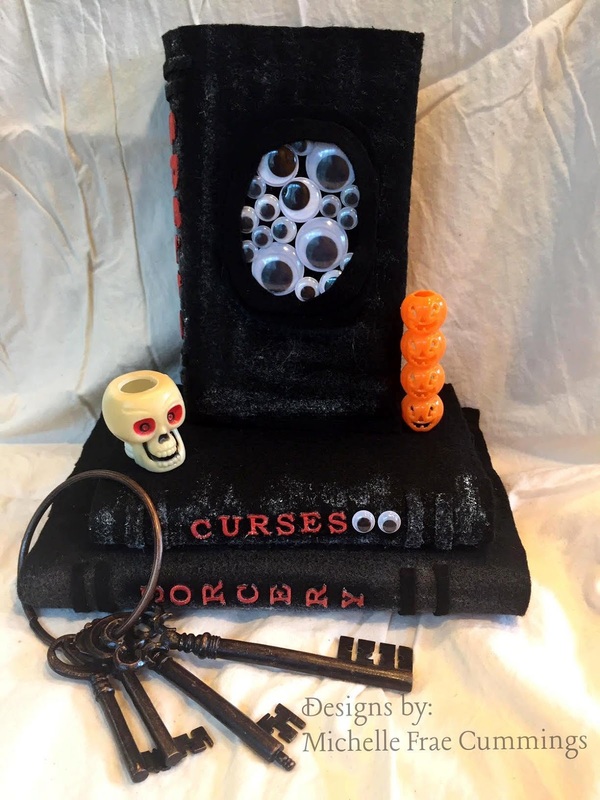 Halloween is my favorite time of the year and I'm always looking for ways to re-purpose what I have in order to create some spooky new décor! 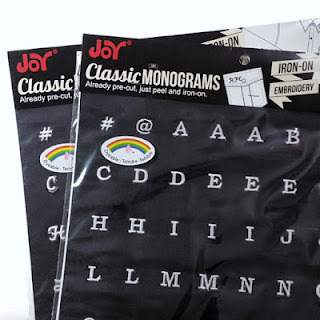 Joy® embroidered iron-on letters in various fonts. 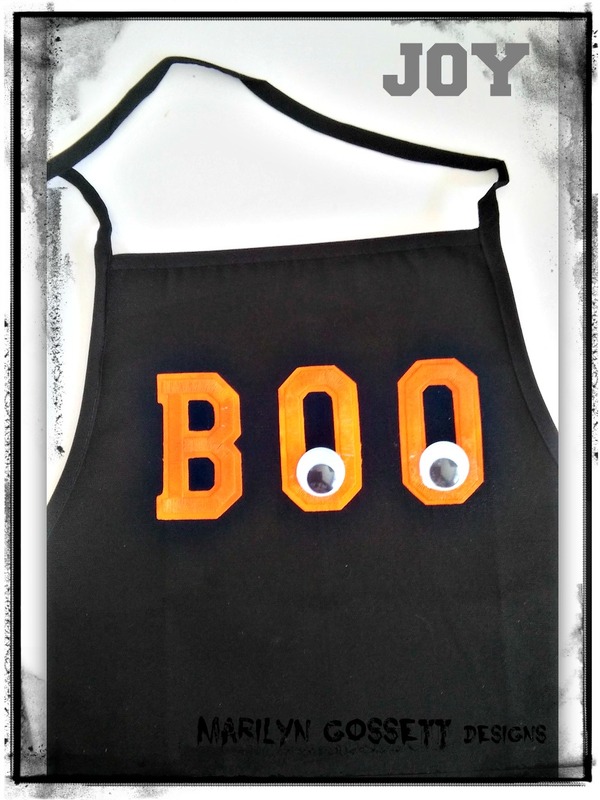 Wiggle eyes and/or other Halloween embellishments. Books of varies sizes; (paper or hardback). 1. 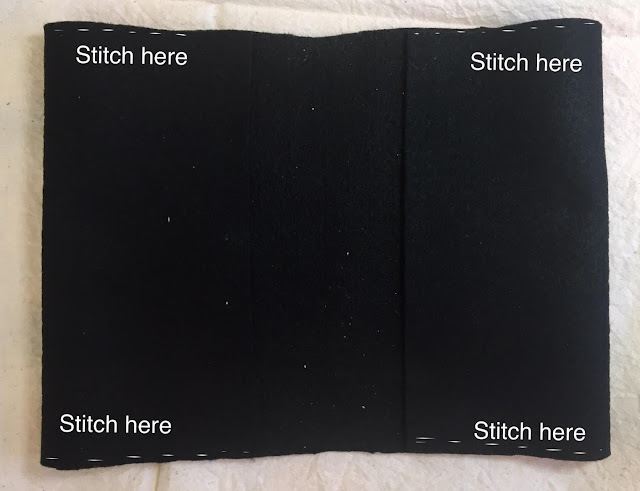 To make the book cover, cut a length of felt, long enough to wrap around the book from the front edge of the book cover to the back plus 4". The width will need to be as tall as the spine of the book, plus 1/4". 2. 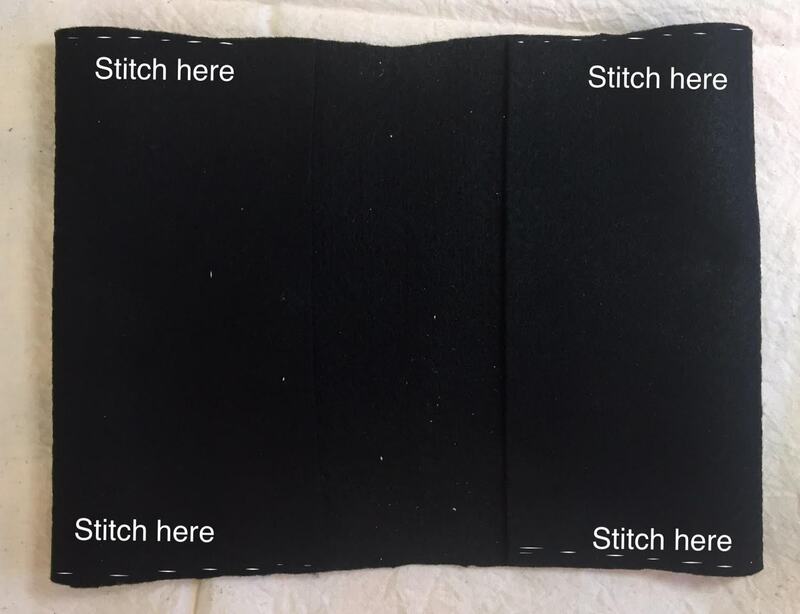 Fold each end under 2" then, using a basic stitch, sew in place along the top and bottom edges. 3. Wrap the cover around the book, tucking the front and back ends of the cover into the flaps. 4. 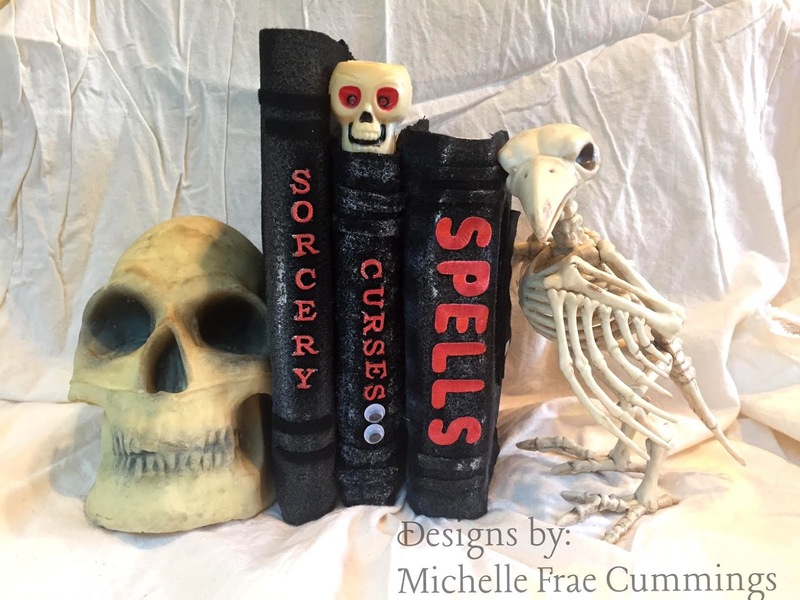 Cut small strips of felt from scrap pieces, then glue across the spine of the book. 5. Dip the dry stencil brush alternately into white and brown paint then gently wipe over the spine and other areas of the book cover to 'age'. Set aside to dry. 6. 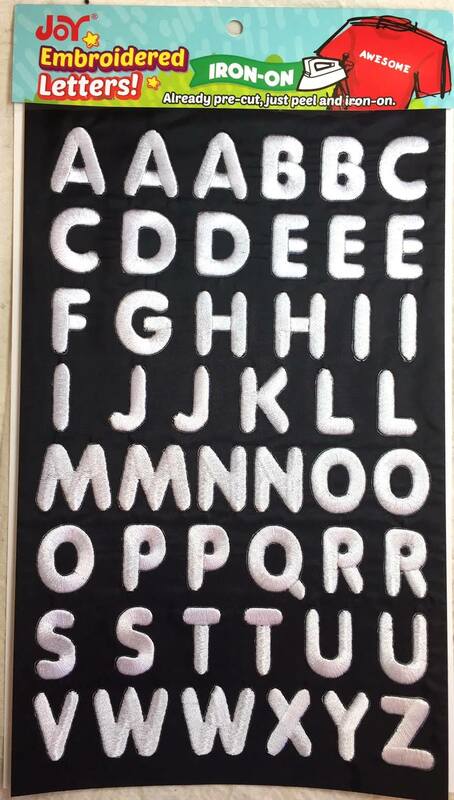 Color the letters you chose for the titles with markers. 7. Adhere to the book spine with the fabric glue. 8. Add embellishments for the final touch. 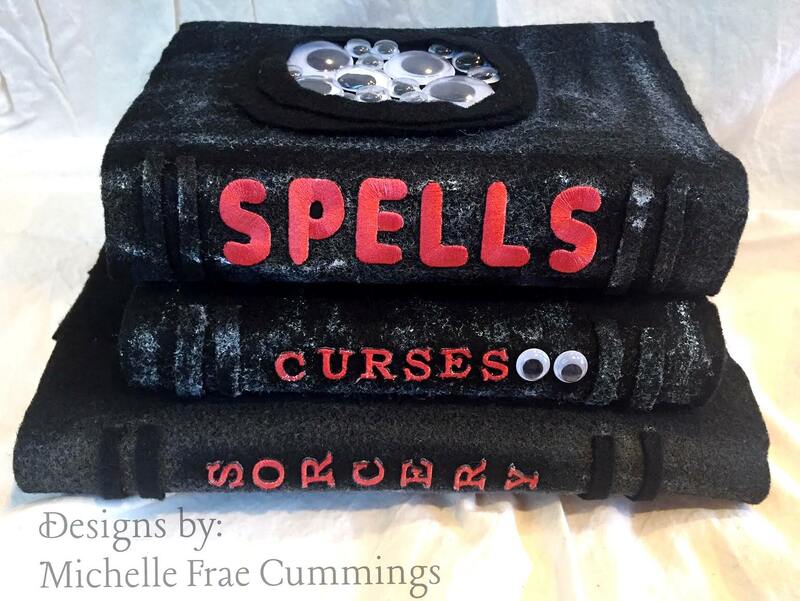 For the décor on the cover of the "Spells" book, cut 2 ovals from the felt. Adhere one oval to the front of the book. Cut the center from the second oval to make a frame. Glue eyes on to the oval then add the frame. JOY® embroidered letters are a quick and easy way to decorate an apron for October hostessing! 2 Wiggle eyes - 1"
1. Paint the letters Orange. Let dry thoroughly. 2. 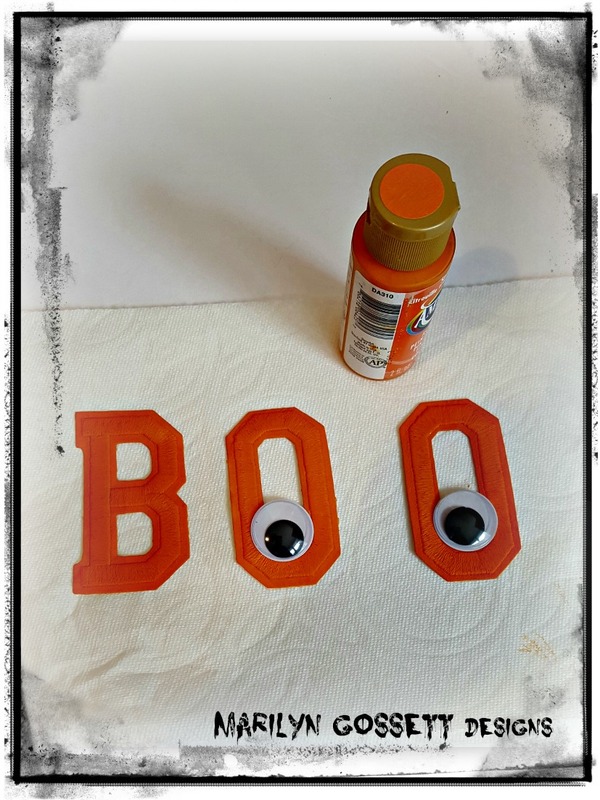 Check the eyes for placement, but don't glue onto the letters yet. 3. Remove the waxy paper from the back of each letter, then following the manufacturer's directions, iron the letters on to the apron. Glue the eyes to the letters to finish. 4. Now it's time to surprise your guests..... Boo! 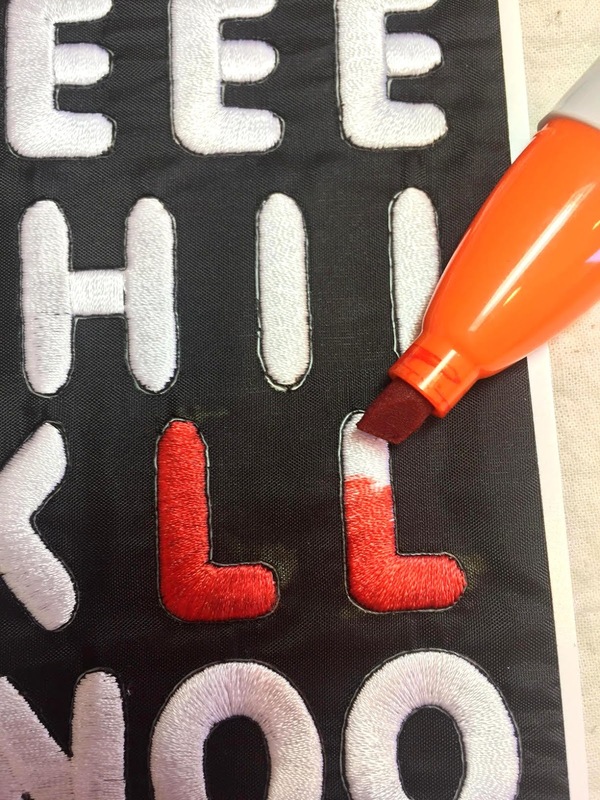 Look for Joy iron-on embroidered letters at your favorite craft store. They're available in different sizes, colors and fonts, suitable for every occasion. 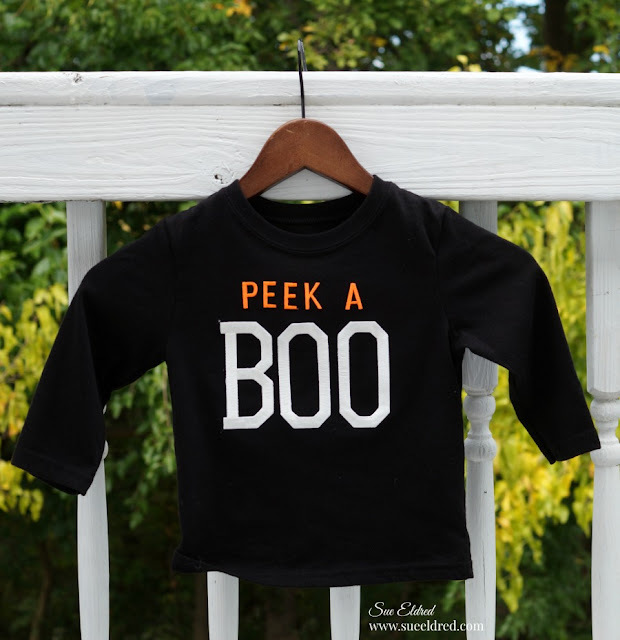 Inspired by our latest game, I decided to make him a cute little shirt to wear, and with the help of Joy® iron-on embroidered letters, making it was super easy. Looking at this picture, I’m thinking really big googly eyes, or iron-on emojis would look so cute inside the “O’s”. You can find Joy embroidered iron-on numbers and letters in a variety of fonts, colors and sizes at your local craft store. I'm not a big fan of Halloween, especially when it comes to scary decorations, but I still like to have a festive home during this haunted holiday.! 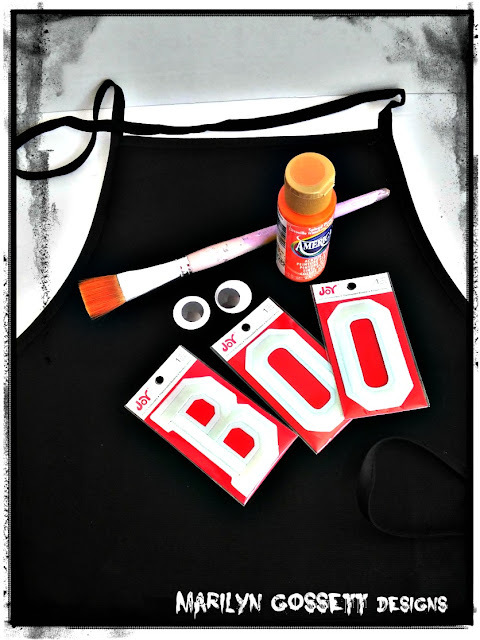 In order to decorate for Halloween, without the gore, I tend to stick to elegant, black and white décor. 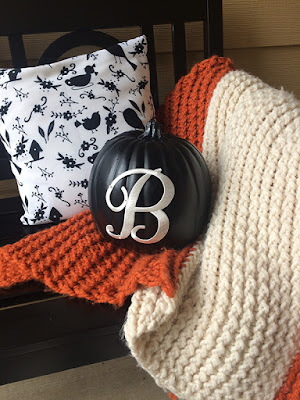 These amazingly simple, monogrammed pumpkins fit my needs perfectly. 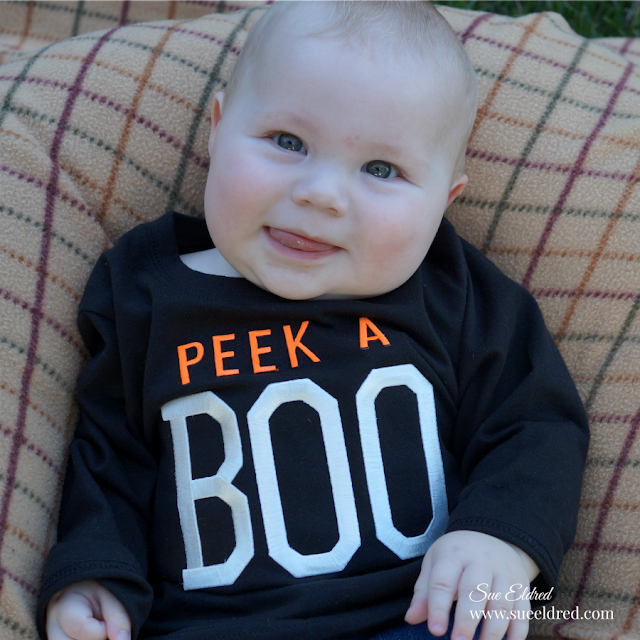 This one sits outside on my front porch, tucked into a cozy orange and white knitted throw. The pumpkin isn't real, I just purchased a black craft pumpkin at the craft store, but you could also paint a real pumpkin. Whether a craft pumpkin or a real one from the local pumpkin patch, they come in so many sizes and colors, the sky's the limit. 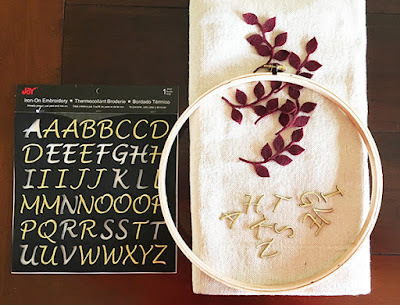 Joy embroidered letters are also available in a variety of colors, sizes and fonts, so you can really personalize this project to match any décor. It's incredibly easy to create monogrammed pumpkins and there is very little mess or clean-up. Clean surface of the pumpkin. 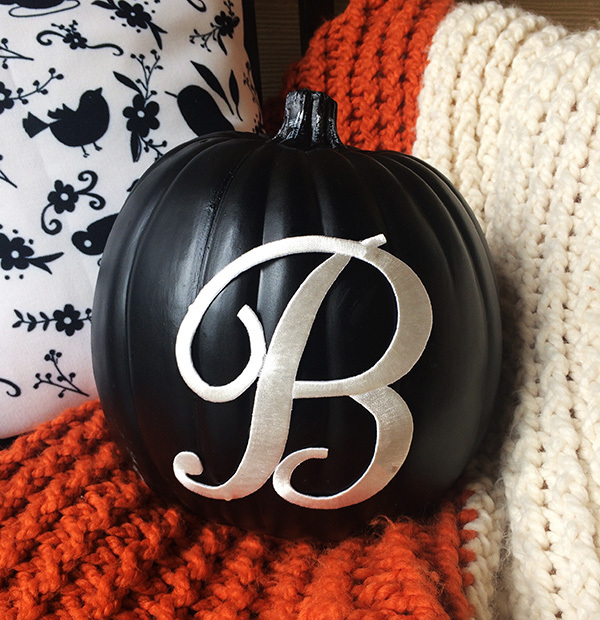 Glue the monogram onto the pumpkin, or simply attach the monogram to the pumpkin with push pins! This gives you the option to use the pumpkin for another project. 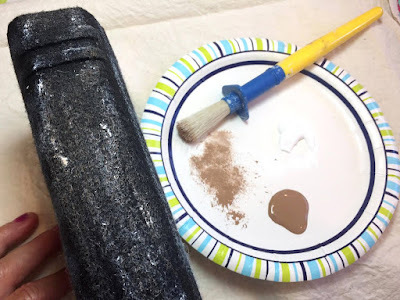 Other ways to decorate with this project idea! 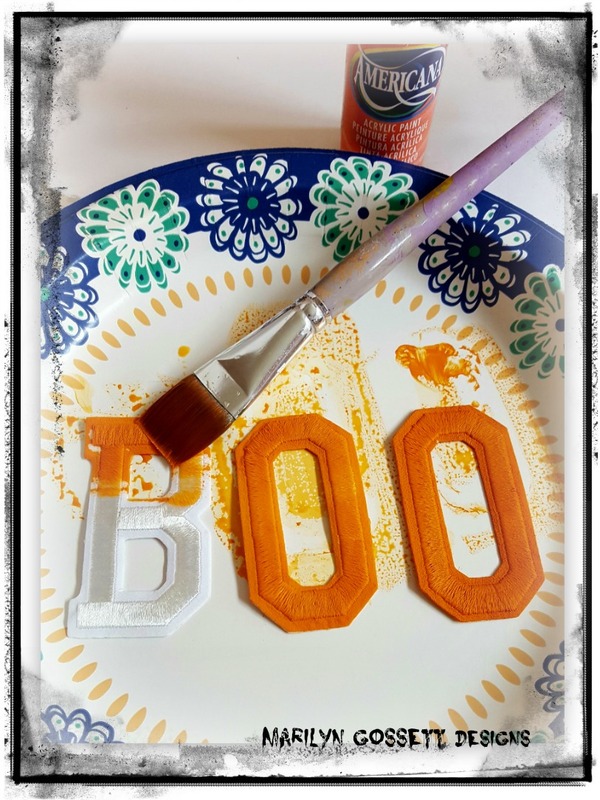 Spell out Halloween with smaller Joy Letters on 9 mini pumpkins! Use Joy letters to add a message to a carved pumpkin using Joy Letters. What are some ways you would use this project? Leave a comment. We would love to hear your ideas!